I’m a Julia Roberts stan. I don’t have anything to hide. One of the saddest moments this fall was realizing she’d had her birthday and I couldn’t pretend to be Oprah interviewing her all “Julia is FIFTYYYYYY” anymore. I take immense pleasure in everything she does and says (and wears – I’ll get to that in a second). Like when she showed up to the E! carpet, and after she was introduced, was like, “Oh, E! is kind of known for like the background [makes low, slightly derisive frat-boy cheering noises].” In one sentence, she’s observationally intelligent, low-key making fun of them, and taking the piss out of herself by implying she’s looking for where those background cheers are. Is she just unusually funny, and interviews are where it comes out? Or did she learn to deal with interviews by being sardonic and unpredictable? Which came first? Chicken or egg? I wrote elsewhere about the ‘I’m not winning’ dress, and this is a perfect, perfect example – so much so that it’s actually a Stella McCartney pantsuit which makes her look so chill she might be at her cousin’s wedding …and then proceeds to take a bunch of pictures like this. Chicken or egg? 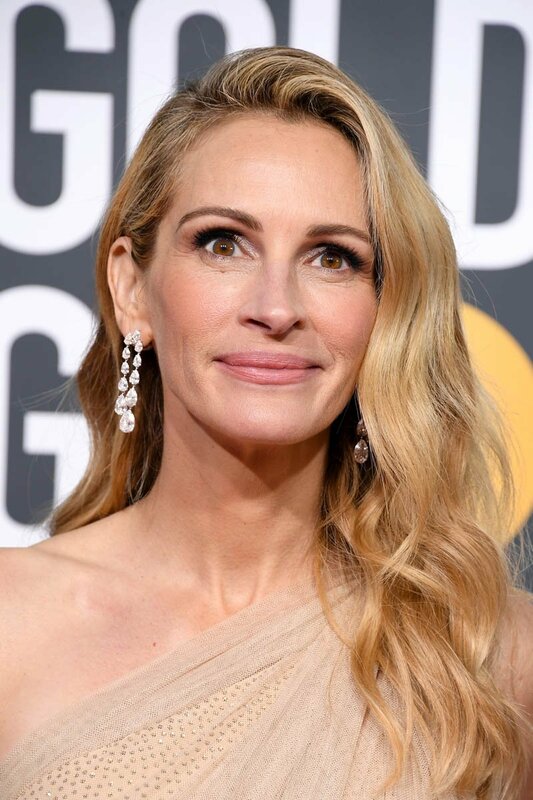 Does she choose something she’ll be comfortable in, knowing she can then produce the Julia Roberts Moments that everyone counts on? Or was she so laissez-faire about the whole affair – Homecoming is spectacular but still hasn’t been seen by many people, and Ben Is Back is sliding out of people’s consciousness – that she didn’t put much effort in and thus seems more herself? 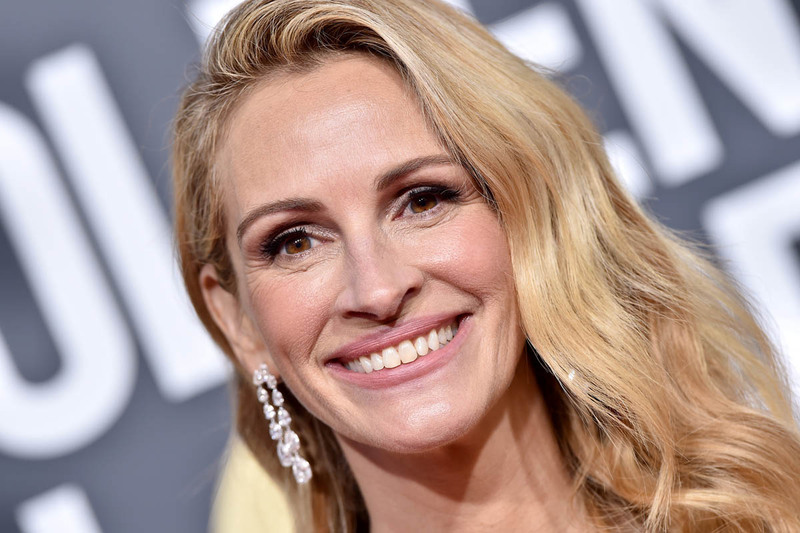 Since I watched Homecoming I’ve been telling anyone who will listen that Julia Roberts’ greatest skill is this easiness, this fun-but-not-too-warm vibe of someone who doesn’t need your approval but loves her life – not just because it endears her to us, but because it actually belies what a good actress she really is. You can watch her in My Best Friend’s Wedding or Erin Brockovich and forget that she also has the clipped brittleness that compels you in August: Osage County and Homecoming and Ben. She’s a great actress who also has a big, magnetic personality (even if it’s not for you, you can’t deny it’s a massive part of her appeal) that makes almost everyone in Hollywood delight to be around her, or she’s a big magnetic, movie-star personality who also happens to be a talented actress. Which is it? Chicken or egg?